Back fat is a source of embarrassment for many men and women and makes them reluctant to wear some types of clothes where the fabric tends to cling to and emphasize the fatty area. Similar to most cases of unwanted fat, common causes are poor eating habits and lack of physical activity. For women, incorrect wearing of their bra also plays a part in highlighting fat in the back. 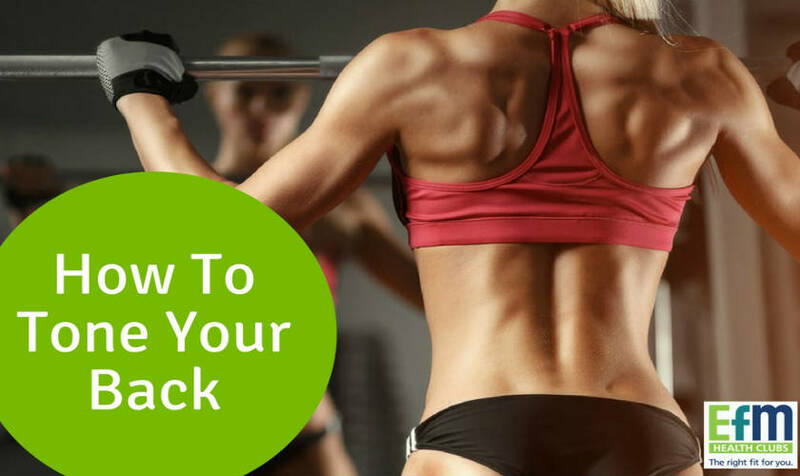 If you’re keen to reduce your back fat and tone up your back muscles, here are the best ways. A diet of junk food and extra-large servings of any sugary or salty food are sure to harm the exercise you do. Switch to eating more fruits and vegetables instead, balanced with healthy proteins and controlling your portion size especially for carbohydrates. Aside from choosing a healthier diet, you should also take a look at the kind of drinks you consume. Alcohol, in particular, contains a significant amount of calories. Cut back considerably on your alcohol intake and fizzy drinks too. Even if you’ve been eating more nutritious food and exercising frequently, you could still slide back to old unwholesome habits once you get stressed. Your body is also affected every time you’re stressed and it’s unable to burn calories as well as it usually does. Utilize strategies for coping with stress and don’t forget to give your body time to rest and recover. If you’re doing cardio exercises regularly, you’re on the right track, as regular cardiovascular exercise is an important component of any weight loss program. However, to produce optimal results, you should also raise the bar for your cardio workouts. Increase the duration of your cardio exercise, along with the intensity or the frequency as often as possible. Trying to lessen fat on only one area of your back will not work, so it’s best to use exercises that target all of your back muscles. Exercises that work out the entire back will give you a more toned and even physique. This is best performed on a stability ball but can be done on the ground also. Start by laying on your front, body outstretched. Place your hands behind your head and slowly arch upward toward the ceiling. Keep your hips and legs flat on the ground as possible. Gently lower your upper torso back down and then repeat. Sometimes the movement can feel quite restrictive in instances of poor flexibility and minimal muscle control. But keep at it – you’ll eventually increase your range of motion over time as you get better. This exercise is fantastic for lower back toning. For this next exercise, you can use either a medicine ball or a single dumbbell. To start, stand with your feet apart and use both hands to grasp the ball in front of you. Next, squeeze your abdominal muscles and do a squat, at the same time moving the ball diagonally upwards to your left side. Then, pull the ball diagonally downwards toward your right leg. With a dumbbell in each hand, bend your knees a bit and bend your body forward while keeping your spine erect. Your arms will be pointed towards the floor with your palms facing inwards. Hold this position and pull up your dumbbells. Lower the dumbbells again little by little. Twist your arms so that your palms are now facing outwards and lift the dumbbells again. Does Weight Loss Tea Work?